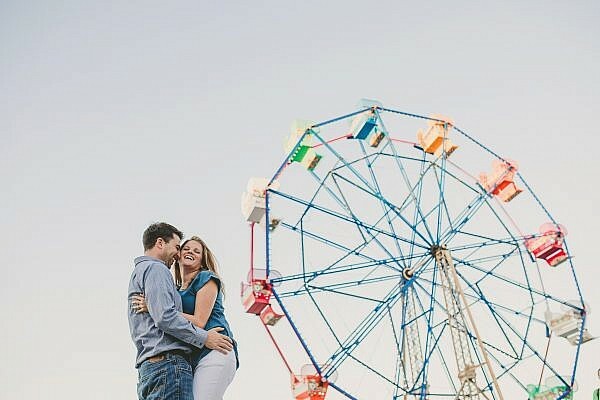 When Kelsey and Brad contacted me a couple weeks before their engagement session they asked if I had any ideas or themes I wanted to incorporate for their day. 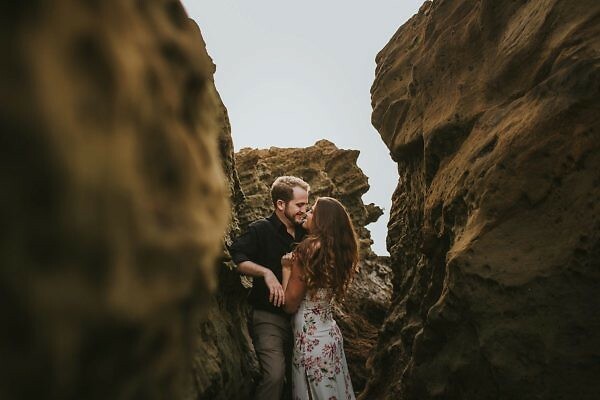 Naturally, I gave them an idea that I thought was pure magic: a “Baywatch” themed engagement session where Brad plays the role of David Hasselhoff (short red shorts included) and saves Kelsey from a pack of wild sharks thirsty for Nordstrom style fashion. Kelsey was in love with the idea, but we ran into one serious road block which was that Brad lacked the necessary amount of chest hair to make the scene really come together. We discussed an application of Just For Men hair dye to give the visual appearance of more depth in chest hair, but at the end of the day we simply came up empty handed. Back to the drawing board we were again. After the failed Baywatch themed engagement session we were all left sad and disappointed. Some tears were shed and hurtful things were said in moments of anger. However, after some discussion we realized that it was not Baywatch or the sweet melodies of Hasselhoff’s voice that were the inspiration for the love between Kelsey and Brad, but rather Kelsey and Brad themselves! Therefore, we decided to make the engagement session about the two of them. Their personalities and love for one another. Here is the true story of our time together at a mysterious beach location in Encinitas, California. 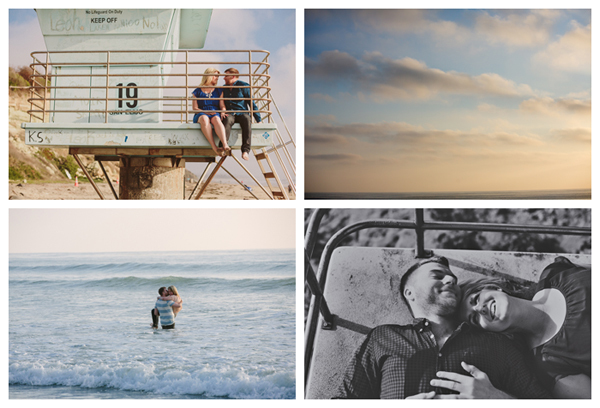 Grab some popcorn and enjoy the moments captured by this Temecula wedding photographer of Brad & Kelsey living it up in Encinitas!